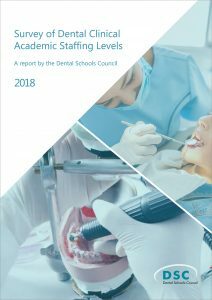 The Dental Schools Council has responded to the Department for Business, Innovation & Skills consultation on the paper ‘Fulfilling our potential: teaching excellence, social mobility and student choice’, which was published in November 2015. The response welcomes the objective of raising the status of teaching and the continued improvement in the quality of learning experience for students. The Council supports objectives to increase access for students from disadvantaged backgrounds however believes that current indicators of deprivation lack sufficient detail. The UCAS systems must change to identify students on application before selection decisions. The response notes the current lack of clarity surrounding aspects of the proposed TEF. There is a risk that the application of potentially poor metrics in regards to assessing institutions could unjustifiably damage the reputation of the UK higher education sector particularly with international markets. Dental Schools would be willing to participate in TEF pilots. The response also notes that differing fees for schools could increase barriers in creating a diverse workforce and the implementation of a Grade Point Average may undermine teamwork. The response advises that the TEF develop a long term award which would reduce institutional burden and recognise that continued excellence is achieved over time. The Council would advise against any shorter awards for Years 1 and 2 and instead develop a stronger methodology that allows for a long term award to be issued from the initial implementation of the TEF. The full DSC response can be accessed here.